Happy Holidays everyone! I am so excited that we have finally reached my favorite time of the year. There is very little that I love more than when the weather cools down, holiday music is on the radio and the house smells delicious from whatever winter treat is cooking in the oven. Even though Halloween is more of a children’s holiday, it is one that I always get pretty excited about. In my mind, Halloween marks the beginning of my favorite time of the year; the holidays! Growing up in California meant that Halloween was typically the first weekend that turned cold. So, my family always seized the opportunity to break out some fall favorites. This year, I am going to be in North Carolina for my first Homecoming since graduating from Wake Forest and I couldn’t be more excited. Although it does mean that my Halloween plans will be a little different… So for those of you who will be home this weekend, here are my tips for throwing the ultimate Halloween Party! The 20-Something's Guide to throwing a Fourth of July Party! The Fourth of July is one of my favorite holidays because not only does it celebrate our incredible country, but it is also in my mind, the epitome of summer! I love nothing more than hosting a BBQ with great food, drinks, music and friends. For the past few years, I have been out of town for this holiday weekend, but this year I’ll be home with my precious pup Winston. My parents are heading to Tahoe with their friends so I decided that it would be the perfect chance for me to host my first Fourth of July Backyard Party. Those who know me well, know that I tend to go all out when it comes to hosting and decorating parties (Check out my post on the Fiesta I threw a couple of months back). So, this will be no different. Today is officially my last day of school… ever! So to celebrate, I threw a Fiesta last night to celebrate with some of my closest friends that I made during my time at Wake Forest. One thing that I have really loved about college, and getting older in general, is that my friends are not confined to my grade level. Some of my closest friends are younger, and I love that it doesn’t matter. However, because of that, a lot of my friends won’t be around campus during graduation week to celebrate with me so I decided to do it a little early. If you know me well, you know that there is not much that I love more than a good margarita. So of course I made the party Mexican Fiesta themed! Ladies and gentlemen, allow me to introduce you to my day 1 Wake Forest friend, Madi Julius! Madi and I met on the first day of health class freshmen year. She was sitting next to me in a ball cap and jeans and had a smile that made everyone around her light up. Over the past 4 years, our friendship has grown so much and she inspires me everyday with her love for Christ, and her enthusiastic zest for life! As most of you know, it is Masters Week! I am super excited because it is one of the only weeks during the year when everyone comes together to celebrate the sport that I love so much. I will be headed up to New York the end of this week, but thank goodness I will be back home in North Carolina for Masters Sunday so that I can celebrate right! 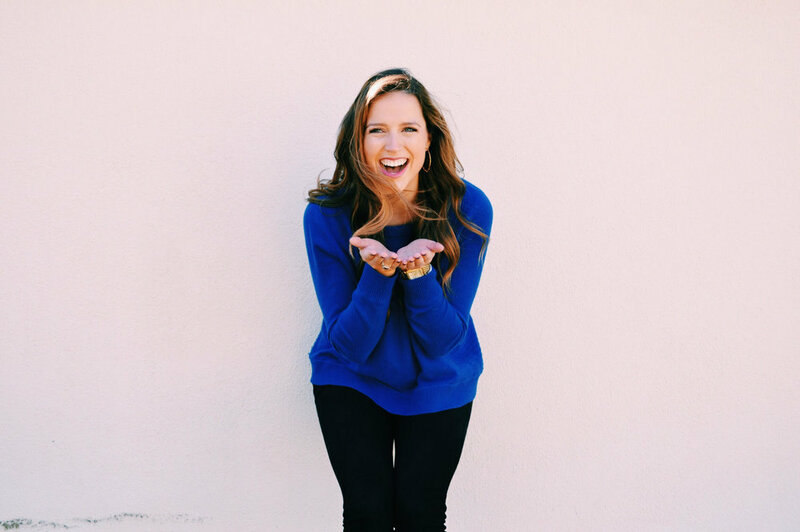 I am so excited to introduce you all to this week's 20- Something girl, Rachel! Rachel is an incredible photographer and style guru from New York who I have been fortunate enough to get to know the past few months here at Wake. She is actually the photographer who took all of the cover photos for each page of my blog! She is such a sweet, loving and fun girl and I can't wait for you all to get to know her. . . I want to introduce you all to one of my oldest and truest friends, Callie! Callie is more than just a friend to me, she is my sister. Growing up as an only child, she was the one who I went to for just about everything. We shared clothes, lived at each other’s houses and even got our ears pierced together. It has been incredible to see my best friend grow and change as we got older, and I admire her so much for the decisions she has made and for always staying true to herself. I am so excited because Easter is this week! Easter has always been one of my favorite holidays because it is one that we spend with family. For the past few years we have been spending this weekend in Charlotte, but this year we will be traveling to Boston to be with my dad's side of the family. I am so excited to see my Grandfather, aunts, uncles and cousins! For me, Easter is the first weekend that truly begins to feel like Spring, and I could not be more excited to embrace warm weather, color, fresh flowers and delicious food! Here is my guide to creating the perfect Spring Weekend. Festive St. Patrick's Day Cocktails!